* There are claims that people have had brain tumors in the exact size, shape and position as the antenna on their cell phone. * Cell phones use a very, very low level of radio frequency (rf) energy – too low to cause damage. * The type of energy emitted is non-ionizing – meaning it doesn’t cause damage to chemical bonds or dna. * Hundreds of millions of people have been using cell phones and cordless phones for years. If there were a problem, we would have seen it by now. * March 03, 2010 – Yahoo News and CNN reports that Maine may require a warning about cell phones being a possible cause of brain cancer. Dr. Derva Davis Mt Sinai Medical center, and Dr. David Carpenter Albany University spoke in favor of the proposed bill. 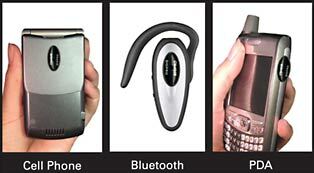 * January 2010: Cell Phones may protect against Alzheimer’s. Study by Dr. Gary Arendash at the Florida Alzheimer’s Disease Research Center. For the complete story, see Business Week’s report or Fox News report. * December 04, 2009: USA Today: Four-country study finds no cancer link to cellphone usage. Researchers in four Scandinavian countries found no increase in brain tumor diagnoses from 1998 to 2003 in a large new study, the latest to find no link between rising cellphone use and rates of brain cancer.